When legendary producer Quincy Jones first heard the demo tape for Barry Mann and Cynthia Weil’s now-timeless ballad “Just Once,” he knew he not only had to have the song for his own record, he wanted the anonymous singer from the demo, too, and that turned out to be Ingram. Ironically, given his now-legendary status as one of the defining voices of quiet-storm R&B, Ingram initially did not see himself as being good enough to be anything other than a demo singer and had to be coaxed by Jones into performing on The Dude. Thankfully for all of us, Ingram eventually conceded and not only delivered a masterfully passionate vocal on the publicly-released version of “Just Once” but would also end up singing lead on two other tracks from the album as well: the smooth-jazz classic “One Hundred Ways,” which would follow “Just Once” into the pop Top Twenty, and the gentle funk of the title track (featuring Michael Jackson on backing vocals). The album may be billed to Quincy alone (although the 45s to “Just Once” and “One Hundred Ways” would thankfully and rightfully be credited to “Quincy Jones featuring James Ingram”), but it was Ingram who ended up garnering the most attention, and he would deservedly end up garnering Grammy nominations for Best New Artist, Best Pop Vocal, and Best Male R&B Vocal for his work on the album, taking home a trophy in the third category for his performance on “One Hundred Ways.” And he hadn’t even made a record of his own yet! 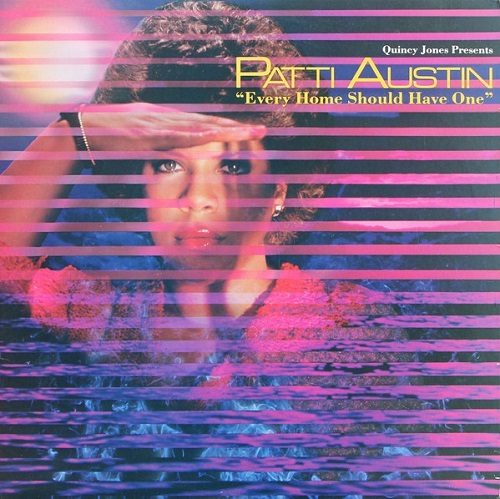 Austin had already released three full-lengths for the jazz label CTI and attracted attention for her featured turns on albums by Michael Jackson (“It’s the Falling in Love” from Off the Wall), Quincy Jones (“Love, I Never Had It So Good” on Sounds … and Stuff Like That! !” and “Razzamatazz,” “Betcha Wouldn’t Hurt Me,” “Turn on the Action,” and “Somethin’ Special” on The Dude) and George Benson (“Moody’s Mood for Love” from Give Me the Night) by the time she finally broke into the commercial mainstream on her own via this disc. 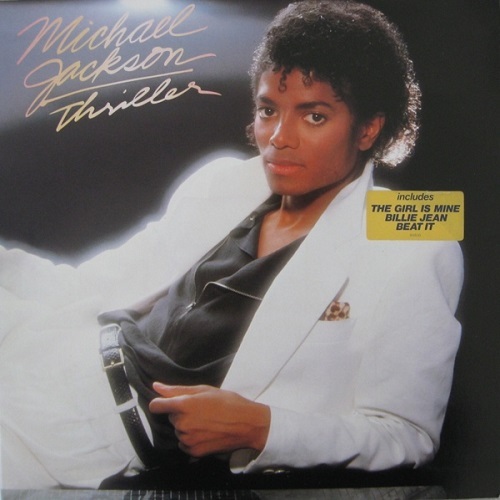 Not that it sold well at first; fate would intervene, though, when the soap opera General Hospital belatedly discovered the album’s silky James Ingram duet “Baby, Come to Me” (penned by R&B songwriting giant Rod Temperton, best known for writing the Michael Jackson hits “Thriller,” “Rock with You” and “Off the Wall”) – which had already peaked at #73 and fallen off the charts entirely – and featured it prominently in the show, spurring the single to be re-issued with a new catalog number and rising all the way to the very top of the charts this time around, knocking Toto’s “Africa” out of the Number One spot. 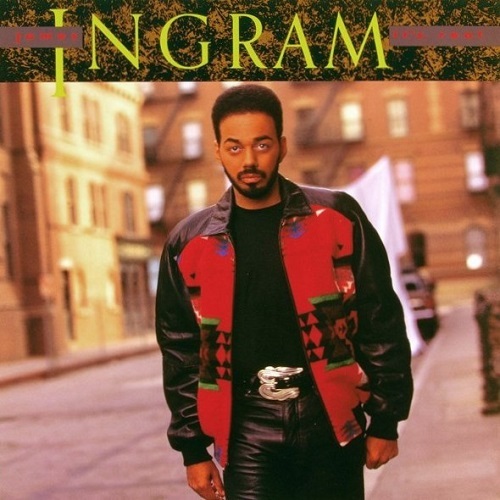 Though often overlooked, Ingram actually makes a second appearance on the disc, jointly splitting background vocal duties with Austin on the wildly fun up-tempo lite-funk of “Do You Love Me?,” which reached #24 on the R&B survey and topped the dance charts but strangely and sadly missed the pop charts altogether. No, you’re not imagining things – the Paul McCartney feature “The Girl Is Mine” is the only duet on this disc. But though Ingram never takes a lead vocal on the album, he played a much more crucial role in the album’s success: not only did he provide keyboards and background vocals on the Top Ten smash - and Grammy nominee for Best R&B Song - “P.Y.T. (Pretty Young Thing),” but he and Thriller producer Quincy Jones are actually responsible for writing the song as well! [The song would also see new life decades later after Kanye West prominently sampled the cut in his Top Ten smash “Good Life,” returning Ingram to the Top 40 as a songwriter once more.] “P.Y.T.” isn’t the only notable song that Ingram has co-written for another performer entirely; rocker Patty Smyth’s Oscar-nominated “Look What Love Has Done” from the film Junior is actually an unlikely co-write between Smyth, Ingram, Carole Bayer Sager, and James Newton-Howard. It says a lot about how in-demand Ingram’s talents were that two years elapsed after Ingram was nominated for a Grammy for Best New Artist before he finally got around to releasing a record under his own name! Sadly, none of Ingram’s previous hit singles are included here, but he does reunite with Austin on the duet “How Do You Keep the Music Playing?” (from the film Best Friends), which stalled at #45 on the pop charts but was a Top Five Adult Contemporary hit and earned an Oscar nomination for Best Original Song. Ingram would fare much better on the charts with another track from the album, the Grammy-winning gospel-influenced jam “Yah Mo B There,” a rare four-way co-write between Ingram, Quincy Jones, Rod Temperton, and Michael McDonald, who serves as Ingram’s duet partner on the cut. Even the non-singles from this full-length rank among Ingram’s very best moments as a performer, with the ballads “There’s No Easy Way” and “Whatever We Imagine” being particular standouts and must-hears for any serious Ingram fan. Rogers and Ingram both had found great luck in the early ‘80s by regularly doing duets – the country legend, in fact, had scored three of the biggest crossover hits of his career via his Top Ten pairings with Kim Carnes (“Don’t Fall in Love with a Dreamer”), Sheena Easton (“We’ve Got Tonight”) and Dolly Parton (the chart-topping “Islands in the Stream”). So, unlikely though the duet might have seemed on paper, it actually made a lot of sense for Rogers and Ingram to join forces at some point, and they’re joined by a third duet partner in the form of Carnes, and the three stars managed to reach #15 and top the Adult Contemporary survey together with this album’s lovely title track, co-written with David Foster and a very young, pre-solo-stardom Richard Marx. The song’s long since vanished from radio airwaves and licensing hurdles have meant that this song usually tends to get left off of best-of packages from Carnes or Ingram as well, but it’s great fun to hear three of the biggest stars of the ‘80s all teaming up together here, and the single remains a lost gem. Few realize it, but “Yah Mo Be There” wasn’t the only time that Ingram and McDonald have teamed up together, and both men are credited featured guests on the single “I Just Can’t Let Go” on this solo disc from the former lead singer of soft-rock giants Ambrosia [“How Much I Feel,” “Biggest Part of Me,” “You’re the Only Woman (You and I)”]. [Ironically, both of Pack’s former Ambrosia bandmates, Joe Puerta and Burleigh Drummond, are among the supporting cast on this disc.] Ingram and McDonald are also responsible for co-writing the track “She Don’t (Come Around Anymore).” Sadly, their combined star power was not enough to raise the profile of the record, and the album and its singles both proved to be commercial flops. But Pack’s post-Ambrosia career wasn’t without its behind-the-scenes successes: he’d already quietly scored the biggest songwriting success of his career by co-writing Jack Wagner’s massive Number Two hit “All I Need”! He may have been just one in a cast of dozens on the historic all-star charity single that serves as this various artists compilation’s title cut (penned by Lionel Richie and Michael Jackson) and sold over an astounding twenty million copies worldwide, topping the Billboard Hot 100 for four weeks and winning four Grammy awards, including Song of the Year and Record of the Year, but Ingram was no minor contributor here: not only is he one of the song’s featured soloists (bear in mind that not all the celebrity participants were given a line to sing themselves, and that even includes the legendary Smokey Robinson! ), but Ingram’s is actually only the fifth voice you hear in the song, being preceded by only Richie, Stevie Wonder, Paul Simon, and Ingram’s former duet partner Kenny Rogers – not shabby company to be in! One of the more surprising massive radio hits of 1987 came via the soundtrack of this animated children’s film about a mouse named Fievel. It wasn’t merely where the song came from that made it an unlikely contender for a #2 hit; one of the two vocalists on the track, Linda Ronstadt, had all but walked away from pop music entirely in the three years leading up to this soundtrack, instead opting to remodel herself as a singer of standards from the ‘30s and ‘40s. But there was little denying Ingram’s long record of hits as a duet partner, and the song itself (co-written by the legendary songwriting team of Barry Mann and Cynthia Weil, who had also been responsible for writing Ingram’s career-launching hit “Just Once”) was undeniably an utterly beautiful piece of composing, “Somewhere Out There” managing to not merely delight the hearts of the children who saw the film but those of their parents as well, the song deservedly becoming an instant favorite at Adult Contemporary radio and winning the Grammy for Song of the Year. The song briefly revived Ronstadt’s fortunes at pop radio, but it’s arguably Ingram who steals the show on the single, demonstrating the entirety of his vocal range here in a performance that hearkens back to the sheer power of his work on “Just Once.” It’s by no means the only soundtrack Ingram ever appeared on (he’d also contribute songs in the years ahead to Beverly Hills Cop II (“Better Way”) and City Slickers (“Where Did My Heart Go?”), to name just two other standouts among many), but it’s the most memorable. It had been eight years since the legendary producer had made a record of his own, and it only made sense that he should bring Ingram back along for the ride. 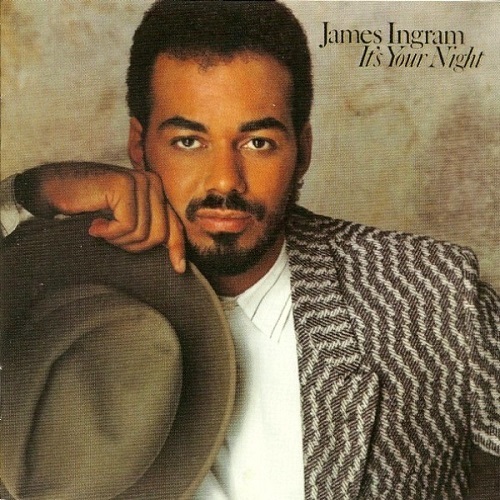 This time, however, Ingram takes a bit of a backseat to accommodate the mind-boggling number of stars on hand here (ranging from Chaka Khan, Al Jarreau, and Tevin Campbell to Ella Fitzgerald, Ray Charles, and Dizzy Gillespie), largely just sticking to providing backing vocals on cuts like the Top Twenty-charting remake of the Brothers Johnson classic “I’ll Be Good to You.” But Ingram emerges in a big way at the very end of the record, duetting alongside R&B legends Barry White and El DeBarge and newcomer Al B. Sure! on the sultry epic “The Secret Garden (Sweet Seduction Suite),” which would stop at #31 on the pop charts but top the R&B survey and for good reason: not even Barry White himself in his commercial heyday ever made a record quite as gently hypnotic and alluring as this single. Neatly and cleverly divided into a side of uptempo jams (“It’s Real Hard”) and another side of ballads (“It’s Real Soft”), Ingram’s third solo album (his previous outing, 1986’s Never Felt So Good, produced and co-written by Keith Diamond, best known for his work with Billy Ocean, had been a sizable commercial flop) initially stumbled out of the gate at first until Warner took a chance and released a heavily-orchestrated ballad produced by the legendary Thom Bell (best known for his string of successes in the ‘70s with the Spinners and Stylistics) as the fourth single. “I Don’t Have the Heart” didn’t sound like much else on pop radio in 1990, but there was no denying the brilliance of the composition itself or the power of Ingram’s tear-jerking performance on the recording, and it defied expectations by rising all the way to Number One, becoming not only the first song from Ingram to reach Number One but his very first Top 40 hit to be billed solely to himself! This would sadly turn out to be the last album Ingram would make for fifteen years, and it was also sadly a commercial flop, missing the Top 200 altogether, but for fans of old-fashioned adult-contemporary pop and R&B, it’s hard not to admire this disc. Not only does Thom Bell return as producer (also co-writing several tunes), but Ingram’s opted here to utilize a virtual who’s-who of songwriting greats of the last few decades, including the legendary Alan & Marilyn Bergman, John Bettis (former full-time lyricist for the Carpenters who went on to co-write Michael Jackson’s “Human Nature” and Madonna’s “Crazy for You”), Linda Creed, and, coolest of all, Burt Bacharach, who co-wrote three of the cuts here. It’s not Ingram’s best solo record – that title still belongs to It’s Your Night – but it’s still a very tasteful disc that thankfully doesn’t try too hard to play to modern trends or remove Ingram too far away from what he does best. Give Tesh this much credit. The former Entertainment Tonight co-host-turned-keyboardist might make Yanni seem hip in comparison, but he at least has had the good taste to bring in Ingram on multiple occasions to handle vocal duties on his rare non-instrumental efforts, and the two gentlemen scored a surprise crossover hit – and a modern-day wedding standard – at the end of the ‘90s in the Ingram feature “Give Me Forever (I Do),” which would not only reach the Top Five on the Adult Contemporary charts and give Tesh an unlikely Hot 100 hit to call his very own, ultimately peaking at #66, but it would also give Ingram his biggest chart hit since “I Don’t Have the Heart” eight years earlier.